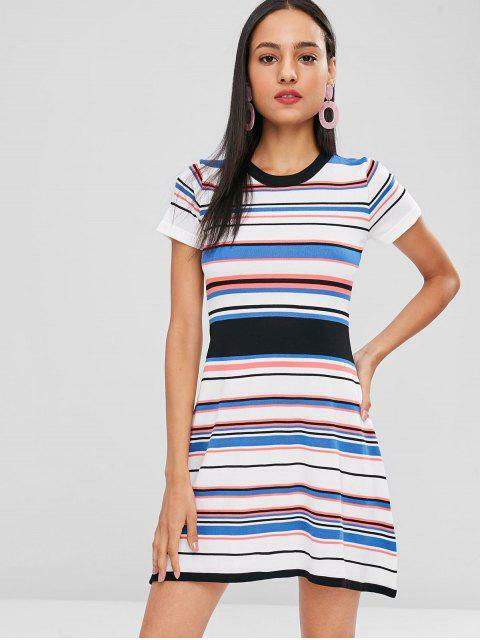 [52% OFF] 2019 A Line Striped Knitted Dress In MULTI | ZAFUL .. The stretch-knit fabric creates a naturally flattering A-line silhouette, defined by a crew collarline and colorful striped pattern. Go ahead and casually layer yours with lightweight jackets and heeled boots for springtime.